The masters of aquarium creations at Living Art Aquariums treat every part of their craft as an art form. They needed a brand identity that communicated the beauty of what they do. 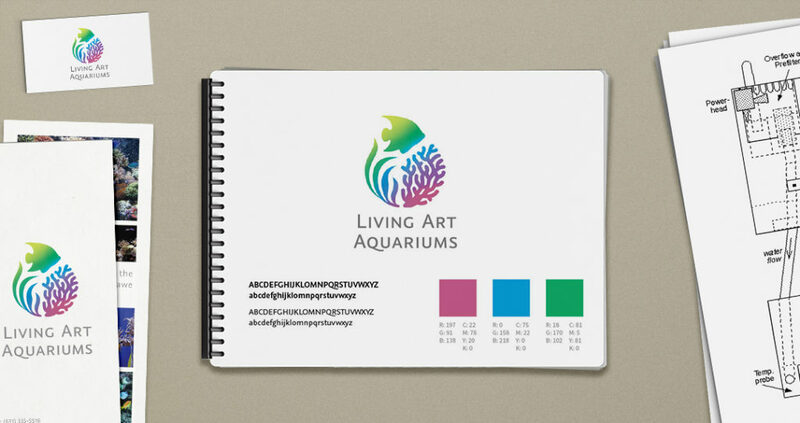 This logo design is for a high end residential and commercial aquarium installation and service located in eastern Long Island. The logo’s symbol incorporates the three elements of an underwater ecosystem; fish, plant life, and coral. The beauty of their work shows through the symbol with a wash of color gradients, showing the diversity of rich tropical colors of their installed tanks.